Other Common Names: Ma huang, teamster’s tea, sea ephedrine, desert tea, yellow horse, yellow astringent, joint fir, squaw tea, mormon tea, popotillo and sea grape. Habitat: Northern China, Mongolia, India, Southwestern United States, Persia (Turkey, Iraq, and Iran) and western areas of South America. Plant Description: Ma huang is a xerophytic, jointed, bark less plant which grows as a small shrub, 30-50 cm in height which produces red, poisonous cones. The ephedra species (EPHEDRACEAE) thrives best in mountainous areas or sandy deserts. Geographically, countries located in the warm, semi-arid temperature zones with an annual rainfall of 20 cm or less is where ma huang can be easily cultivated. Ma huang tough but flexible stems are where the main photosynthetic organs of the plant; the plant contains 0.5–2.5% by weight of total alkaloids, of which ephedrine accounts for 30 to 90%. The leaves of the plant are opposite facing with a scaly texture, appear when the stems first form, e-like, opposite leaves that only function briefly when first formed. 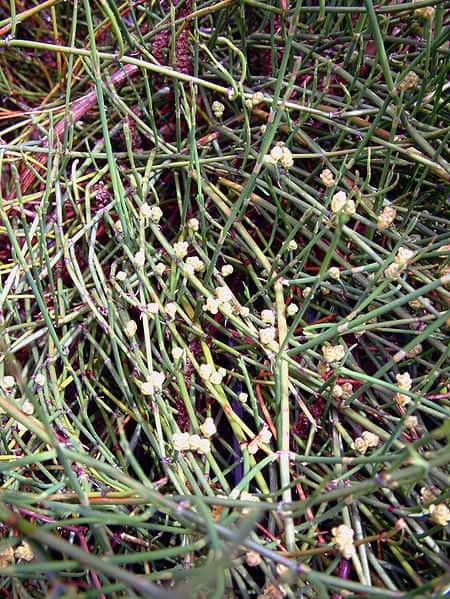 The dried green stems of the three Asian species (Ephedra sinica, E. intermedia, E. equisetina) are all used medicinally. 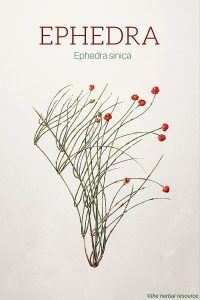 The North American species of ephedra, sometimes called desert tea or Mormon tea does not appear to contain the same active ingredients as the Asian species. Plant Parts Used: Stems and branches. Ma huang is used in traditional Chinese medicine (TCM) as an herbal treatment for asthma, hay fever, nose and lung congestion, chest tightness, chronic obstructive pulmonary disease and for patients with fever and lack of perspiration (anhidrosis). Ephedra is used as a performance booster; to increase the blood circulation to the muscles for energy and endurance from an increase of oxygen and nutrient supply. The herb is used in herbal weight loss products for its acute thermogenic and lipolytic effects on basal metabolism. It has been proven effective in its ability to stimulate thermogenesis. The use of pseudoephedrine is common in decongestants and herbal cold remedies for its vasoconstrictive effect. Besides ephedrine, ephedra contains; pseudoephedrine (PE), N-methylephedrine (NME), N-methylpseudoephedrine (MPE), norephedrine (NE), and norpseudoephedrine (NPE) alkaloids, flavonoids, proanthocyanidins, tannins, and volatile oils. Ma huang produces a tightening effect on blood vessels near the surface of the skin and enlarges the small airways in the lungs (the bronchioles). Ma huang must be administered under the guidance of a health care provider. A more stable form of ma huang is available in standardized extracts, tinctures, and solid formulations. Each dose of ma huang should be taken with a full glass of water. Ma huang is best tolerated when taken with food. Because of the high sensitivity of the neuronal cells, the Food and Drug Administration (FDA) advises that Ma huang dosage should not exceed 8 mg per serving, no more often than every 6 hours, and not to exceed 24 mg per day. 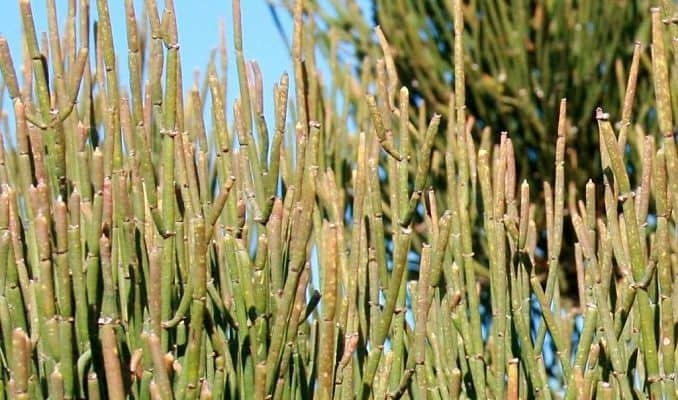 Ephedra (Ma huang) should only be used under the supervision of a healthcare provider. To avoid overdose, extreme care must be taken when taking ma huang; different formulations of ephedra should not be used. Ephedra (Ma huang) is a stimulant which affects the heart, blood circulation, and central nervous system. The symptoms of an overdose may include; dry mouth, irregular heartbeat, high blood pressure, stroke, seizures, severe mental disorders or heart attack. The improper use of ephedra can even lead to death. 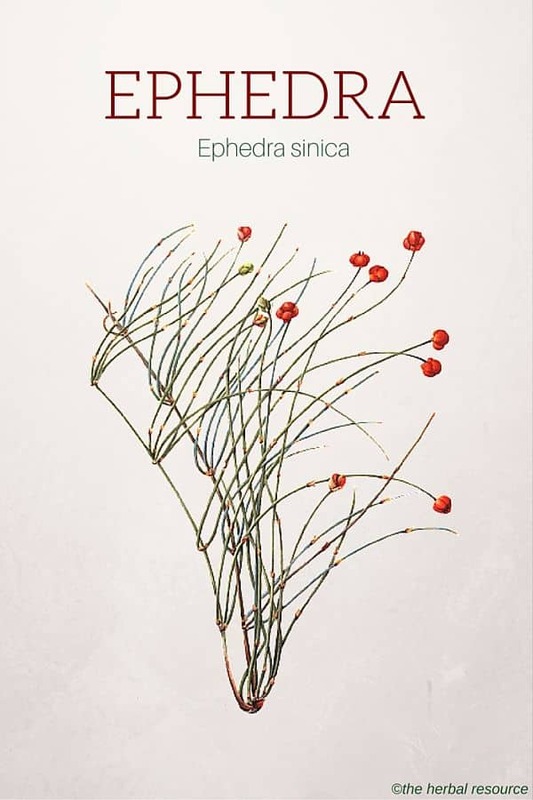 Tell your doctor or dentist that you are taking ephedra (Ma huang) before having surgery.